Over the next decade, the U.S. Department of Labor predicts that more than half of the fastest-growing occupations will be in health care. 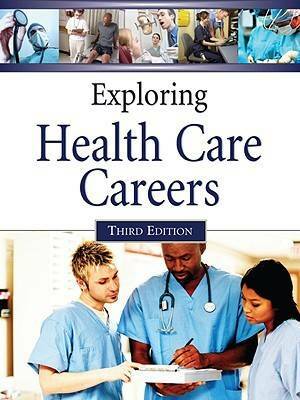 This fully revised and updated two-volume set answers virtually any question a reader may have concerning the opportunities, requirements, responsibilities, and expectations associated with jobs in health care. With an emphasis on interviews with professionals already at work in the field, this book presents pertinent career information in a lively and engaging style. Each of the more than 120 revised and updated articles contains an in-depth look at a particular health care career, describing necessary education and training, salary ranges, job outlook, and more. Interviews with professionals give readers a real sense of the day-to-day activities of the job. New and revised coverage includes: ten additional careers, including expanded coverage of careers in alternative medicine; photographs of health care professionals at work; new and revised sidebars and bibliographies; and DOT and NOC (Canada) classification numbers for all careers, in addition to GOE and O*NET-SOC numbers.